I set my alarm for 6.30am this morning. Probably no biggie for most people but my normal alarm is set for 8.30am. It was struggle street. Purchased a large soy flat white, missed a train, finally got to work, said Hi to the Americans on video conference, bought another large coffee, went to Coles to get stuff for lunch, and back in the office all before 9am. I had a flu jab yesterday and am being a sookie-lala. My arm hurts. I'm sniffly and tired and my throat is swollen. $10 says I won't last until the 7pm video conference I have to attend tonight. Been sleeping with the doona the last few nights. It seems autumn has finally arrived in Sydney and I'm loving it. Apart from the rain. Not loving that. Saturday rained nonstop all day, we took cover in a cafe and ended up eating a salted caramel croissant. It was every bit as delicious as it looks/sounds. Daylight saving has ended; my commute home has become a lot darker. Maybe it's a blessing in disguise and it will make me leave work earlier. That's all from this sleep-deprived corner of the globe. I promise to be more conscientious soon. So glad daylight savings has ended. Last week I was sleeping in till 7.20am every morning and starting work later cos it was so dark! This morning was shithouse for me... was zoned out and forgot to validate my MYKI at the transtation.... got pulled up on it when exiting at the CBD... hello train fine. FML. 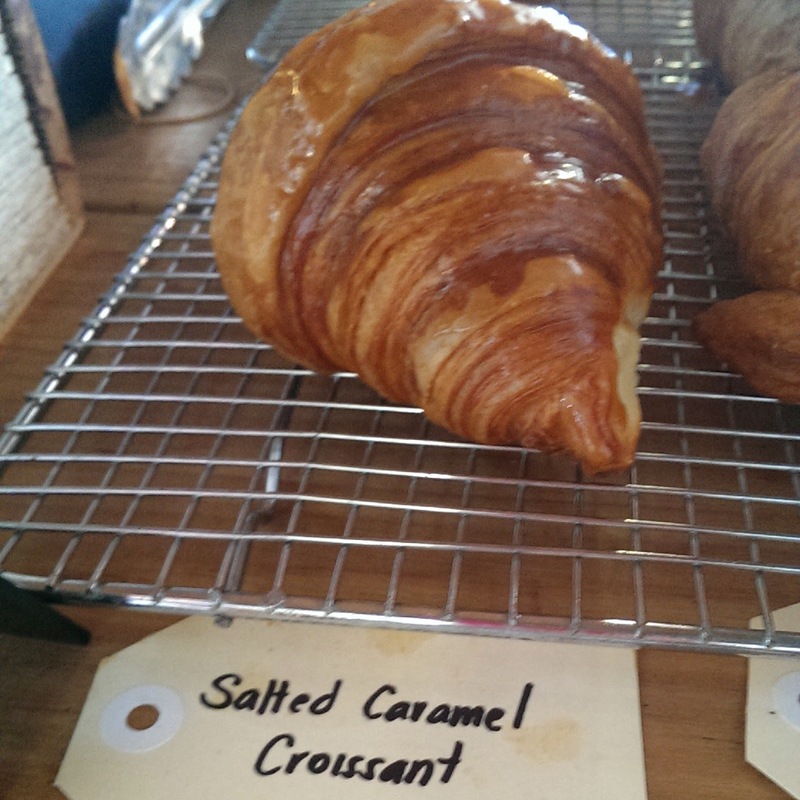 Salted caramel croissants!!! I must investigate these soon. Hope you have a great weekend planned as a reward for surviving this week. I think I'm getting really old because it takes me forever to adjust to the daylight savings stuff!